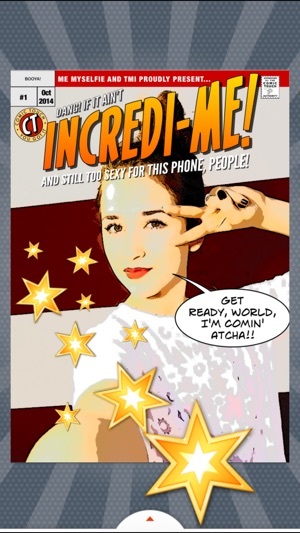 Show off your friends and family as the stars they are with Comic Touch. Whether it's totally awesome or epic fail you'll find a template to match the moment. Take the perfect shot with the innovative live preview. 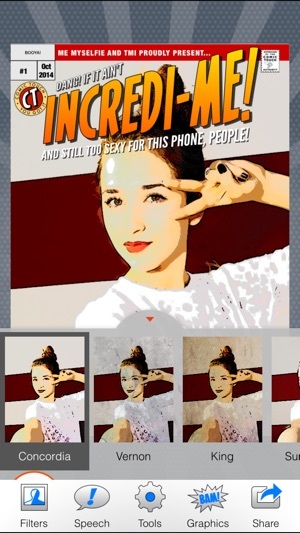 Apply killer photo filters turn your photos into comic art. Customize lettering for some SHAZAM! 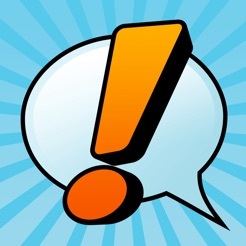 Speech balloons and comic stamps add some fun. 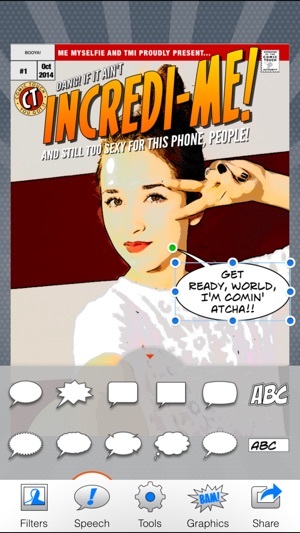 Comic Touch 2 is the funnest app for creating comics out of your pictures. Swipe through templates while in the camera mode to see exactly what your comic layout will look like before you take the picture. Add your own balloons, comic lettering and captions to the templates with a tap. There’s a Comic Touch filter perfect for your shot, anything from grunge, to halftones to classics – 20 combinations in total! Choose from 28 comic stamps to give your creation even more excitement. When you’re done you can easily share with friends and family and even send to Kodak for beautiful prints you’ll want to keep. Comes with 16 portrait and 8 landscape professionally designed templates to get you started and more available via in-app purchase (with many more on the way!). Quick & easy gag covers. Missing Wheaties, though! The templates are not editable so far as I can tell, while I haven’t experimented enough to be sure. 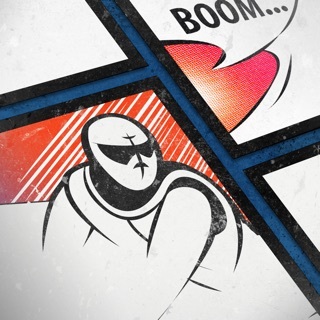 You get 7 templates in each pack & drop a photo in behind. I bought 2 of the packs, though I’m not sure I will ever use them. 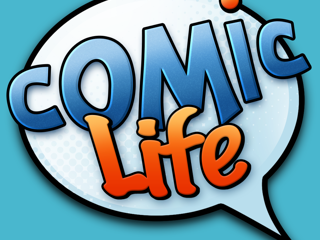 It would be nice if you could apply them to the Comic Life 3 app which has far more capability & gets better all the time, at a good price. This is a canned way to get used to the idea of what Comic Life 3 can do, in my opinion & can’t kick about the price, y’know. Its a fun diversion. Not a bad app per se, but missing key features. 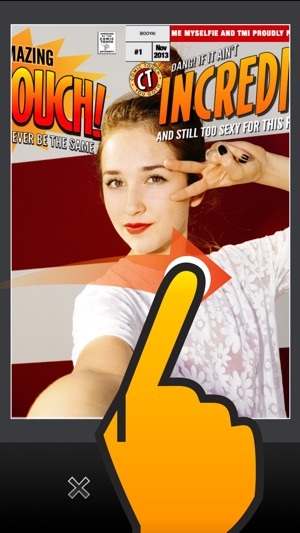 Primarily the ability to move and resize the photo chosen. Why you folks opted to not include this option is beyond me, but it cripples the app's functionality for me. You can move and resize everything else except the photo. I'm just dumbfounded by this. Please update to work with the iPhone software. 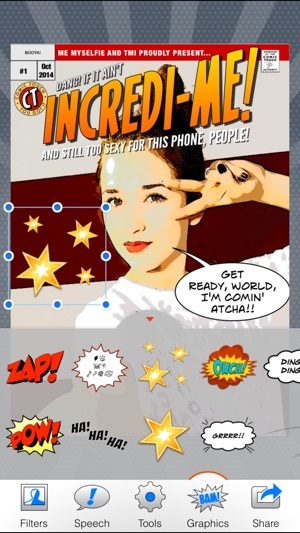 It has great features, especially when you combine with the other Comic Life Apps.